On 6 January 2019, under disputed circumstances, a fight broke out between three men in a village, Vojvodinovo, just outside of the city of Plovdiv, Bulgaria. As a result of the melee, one of the men was hospitalized. As is the well-worn pattern in Bulgaria, far-right nationalist and fascistic politicians (self-described “patriots”) immediately jumped on the incident, using it as yet another occasion to rail against “Gypsy crime” and “disorder”. In this specific instance, the current Minister of Defence and Deputy Prime Minister for Public Order and Security, Krasimir Karakachanov, took the lead. The hallmarks of fascism and Nazism in this statement are unmistakable, as are the generalizations of culpability and the assigning of blame to an entire ethnicity. However, Karakachanov was not content to stop here. 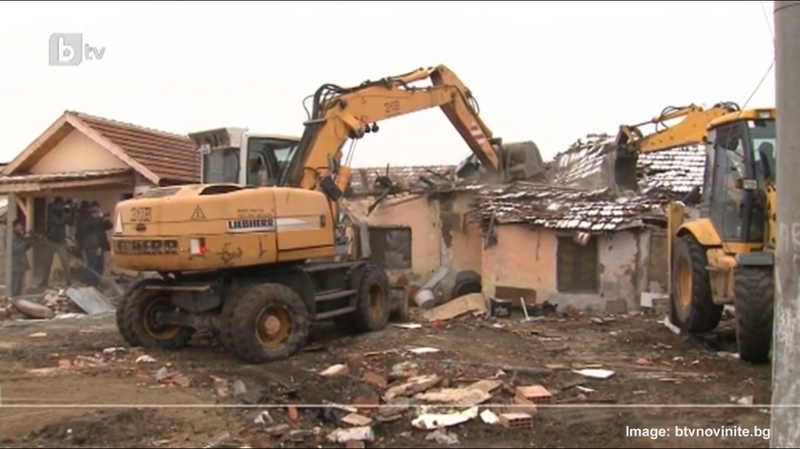 He stated he would speak with the local and regional authorities to deal with the matter ‘here’, focusing, in particular, on removing the so-called “illegal homes” in the Romani neighbourhood in the village. This is an overt call for collective punishment of an entire Romani community for the actions of two individuals. Five homes were demolished almost immediately, just three days after the incident, on the purported basis that they were found to be “dangerous” and thus unsuitable for habitation. The following day, ten more homes were destroyed. It is still not clear what specific legal authority the municipality used to justify the actions or whether they followed all the required regulations or specifications under Bulgarian law concerning demolition of “unsafe” structures (or their designation as unsafe, for that matter). It is almost certain they also ran afoul of European human rights law. It is expected that the remainder will receive the standard notice concerning improper documentation for construction, etc., at which point they will need to file to contest this action in the administrative courts. Shortly after Karakachanov made his statements, on 10 January 2019, a former general of the Bulgarian Armed Forces, Dimitar Shivikov, made an inflammatory call as a guest on one of the leading morning talk shows: For all former and current soldiers to come together to “protest” in Vojvodinovo. At that point, there had already been “protests” occurring in the village daily. “Protests” as it is not clear what the participants are protesting: that someone was hurt? That there are Romani people living in and from the village? That there are Roma…at all? Why the former general felt the need to gather members of the armed forces in a show of strength, in what could only be viewed as an attempt to intimidate and implicitly threaten Romani people in Vojvodinovo and elsewhere, is not clear. Though the calls for the protest to remain “peaceful” were largely successful, the atmosphere on the day was toxic and extremely volatile. There were innumerable vicious and venomous calls from the crowds openly advocating for violent action against Roma. Fearing the very real possibility of political violence and pogroms, nearly all of the Romani families had already fled the village to nearby Plovdiv by time the mob arrived. The Roma community in Bulgaria did not take this chain of events lying down. Responding to the various racist diatribes and hate speech used by multiple politicians and public figures, many organizations, individuals, and activists have already filed complaints before the Bulgarian Commission for Protection against Discrimination. Likewise, local and national human rights organizations have been working with the families from the affected neighbourhood to prevent any further illegal housing demolitions. Activist lawyers are helping them to demand recourse and recompense for the homes that have already been destroyed, including before the European Court of Human Rights in Strasbourg if necessary. 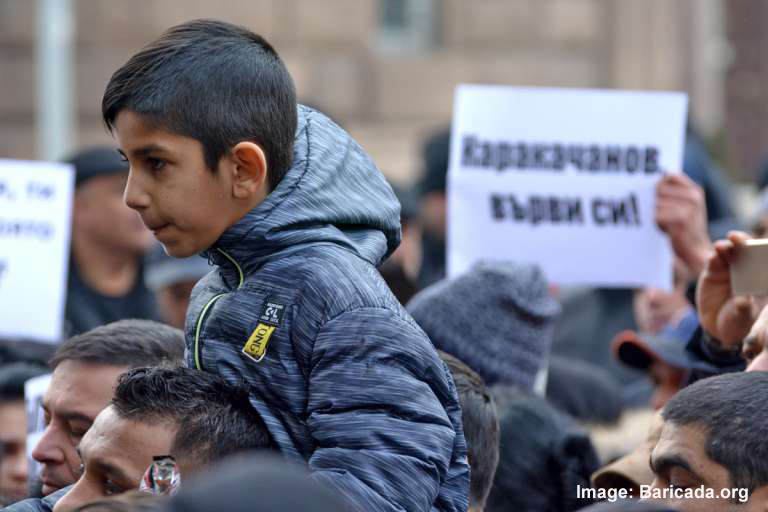 On Monday 14 January 2019, hundreds of people, Roma and non-Roma alike, protested in Sofia demanding that Karakachanov apologize for his racist and fascistic remarks and immediately resign. This protest was organized at the grassroots level, without any official backing of Romani organizations or groups, or any other specific institution. There is a petition that is also calling for Karakachanov’s resignation, started by the non-governmental coordinating body, Standing Roma Conference in Bulgaria. All those interested in justice and ending racism, hate speech, and discrimination towards Romani people in Bulgaria, and throughout Europe, are welcome to sign: https://www.peticiq.com/220857. A second grassroots protest has been organized and will be taking place tomorrow, Friday, 18 January 2019 from 14:00 to 16:00 at Place du Luxembourg, Brussels, Belgium. Any and all are welcome to join. The ERRC is coordinating with local and national organizations about possible responses, including notifying the relevant European institutions and authorities and demanding they take the necessary and appropriate measures concerning the worsening situation in Bulgaria. In this sense, we are in agreement with Karakachanov: “This cannot continue.” Bulgarian and European authorities cannot continue to demonize Romani people, incite hatred and violence towards them, destroy their homes, or enact illegal collective punishments against them. This must stop. Karakachnov must resign!